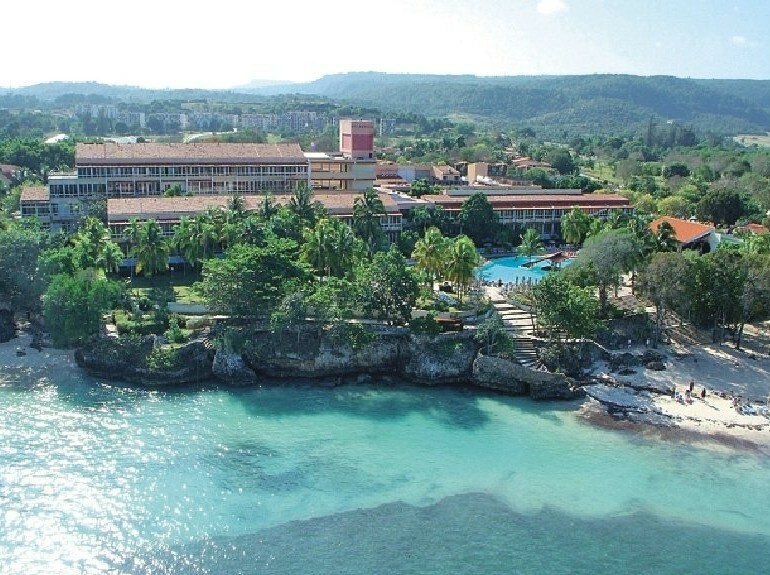 This comfortable All-Inclusive resort hotel is near Bariay (where Christopher Columbus first set foot on Cuban soil), in an area with fine sandy beaches bathed by warm water. It is a perfect place for family vacations, incentive travel, weddings, honeymoons and circuit tourism. Here, in an ambience in which modern and traditional aspects of the Cuban essence blend harmoniously, the quality and variety of services contribute to an excellent stay. 747 air-conditioned rooms: 634 standard doubles and 113 superior doubles—including 8 suites, 14 junior suites, 12 mini-suites and 4 rooms with special facilities for guests with disabilities. Every room has a private bath, safe, telephone and satellite TV.